By Russell Jones. First published 2002. F.B. Clapp was born in Holden, Massachusetts in 1833, the son of Oliver Clapp, merchant. He emigrated to Melbourne at the age of twenty in the flood of the gold rush of the 1850s. He very quickly became involved in the transport industry, working in the Ballarat offices of Watson & Hewitt, a noted coaching company. In 1857 this company sold its Melbourne-Ballarat service to a syndicate lead by Clapp. In the space of two years, F.B. Clapp & Co became the largest mail contractor in Victoria, extending its initial service not only to Geelong, but also westward from Ballarat to Hamilton, Portland, Warrnambool and Penola. Some years after this Clapp began to develop an interest in urban transport, as he could see that the spreading Victorian railway network would drive the coaching business to the wall. In 1860 he had some discussions with the Melbourne City Council with regard to the construction and operation of a horse tramway from the city to Collingwood, but this did not proceed for legal and commercial reasons. So in 1867 he sold out of his coaching business and travelled to Europe and America. The following year he returned to Melbourne and set up the Melbourne Omnibus Company, together with Henry Hoyt and William McCulloch. The first omnibus service commenced on 23 March 1869, running from the city to the corner of Smith & Johnston Streets in Fitzroy. Other routes quickly followed, firstly to northern and later to southern suburbs. At the height of horse omnibus operation, the company owned 178 omnibuses and 1600 horses. However, Clapp had his eye firmly on the development of a tramway system for Melbourne, and every acquisition of property was planned with a view to the future tramway system, together with analysis of data on population trends, traffic demands and route requirements. In 1872 the company made its first attempt to get a Bill through Parliament to be given the power to build the tramway system, but this foundered on various issues. In 1877 the company reconstituted itself with additional capital as the Melbourne Tramway & Omnibus Company (MTOC), in order to prepare itself to develop a tramway system in Melbourne. However, it faced a number of obstacles in doing so. Clapps former partner Henry Hoyt floated the Victorian Tramway Company in 1881, in direct opposition to the MTOC. Clapp bought out Hoyts company in 1884. In addition, there were significant problems and parliamentary opposition in obtaining a Bill authorising the construction of the proposed tramways, until the Melbourne Tramway & Omnibus Company Act 1883 was passed on 10 October. Curiously enough, the Act envisaged that horse traction was to be used, but that cable traction or mechanical power other than steam could be used where appropriate. The Act was also notable in requiring an eight hour day and provision for paid overtime for employees, as well as restricting maximum working hours (including overtime) to no more than sixty hours per week for MTOC employees. Under the Act, the Melbourne Tramways Trust was formed, comprising the municipalities that the system would serve. It would be responsible for construction of the tracks and the engine houses, including acquisition of property. The MTOC was to build car depots and administrative offices, as well as all rolling stock. The MTT granted the MTOC a lease over the system until 1 July 1916. Construction of the system moved along very smartly, with the first line from Flinders Street to Richmond opening on 11 November 1885, and the last (Windsor-Esplanade) opening on 27 October 1891, a remarkable achievement in such a short time. Clapp was noted for his business acumen and organising ability, together with his dominant (and somewhat abrasive) personality. He was well known as a militant anti-trade unionist, always taking swift action to break any attempt to set up a union shop in the MTOC. Shares in the MTOC were heavily speculated, although there was no evidence that Clapp was involved in this to a great degree. However a number of his associates were notable in the ranks of the Land Boomers of the 1880s and 1890s. Ten shilling shares reached a height of £9 in June 1890, before the collapse of the Victorian economy and resultant depression caused a major reversal of fortunes. Clapp took rapid action to slash costs, cutting all salaries (including his own) by a third, among other initiatives. MTOC officials, c1900. 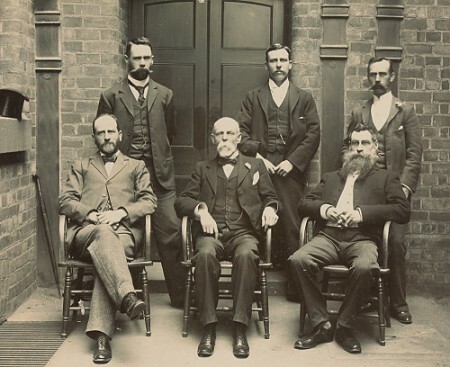 Seated from the left: H.A. Wilcox, F.B. Clapp and G.E. Spicer. Back left: J.G. Roberts, G.P. Smith and J.H. Hodge. Photograph courtesy State Library Victoria / J.G. Roberts. Although Clapp successfully traded through the depression of the 1890s, the resultant contraction of the Victorian economy, together with the obsolescence of cable tramway technology and the prospect of the MTOC lease ending in 1916, precluded any extension of the cable tramway system under MTOC ownership. However, the independent Northcote cable tramway was later taken over by the MMTB in February 1920, and after extensive modifications was integrated into the rest of the system five years later. Clapp had a great love of horses, being noted for driving fast and skilfully. He also maintained a cow in the stables of his final residence, Endion in Domain Road, South Yarra, which was grazed in the lush parklands of the Kings Domain every day. He married an American girl, Isobel Pierce, and had three sons, one of which (another Francis Boardman Clapp) was in charge of rolling stock during the electrification of Melbournes suburban railway system, and another became a mining engineer. His eldest son became Sir Harold Clapp, Chairman of Commissioners for the Victorian Railways from 1920 until 1939, after 19 years working for a number of major American railroad companies. During the Second World War he became Aircraft Production Commission chairman from 1940 to 1942, and Director-General of Land Transport from 1942 to 1944, before working on a landmark study and report on rail gauge standardisation in Australia, delivered four years before his death in 1952. Clearly such ability and energy was inherited from his father. Clapp remained as managing director of the MTOC until 30 June 1916 (when the Melbourne Tramways Board took over all assets of both the MTT and MTOC) even though he was blind from 1908 onwards, requiring a personal manservant to guide him and perform personal services. Despite this handicap, and his advanced age, there was no evidence that his energy and management ability ever suffered any diminution prior to his retirement. 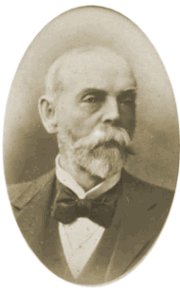 Francis Boardman Clapp died at the age of eighty-seven on 6 September 1920, leaving a remarkable legacy in shaping Melbournes urban transport system, although the cable tram system was replaced by electric trams and motor omnibuses over the next twenty years. Copyright © Russell Jones 2002. Reproduced with permission.